Federal Reserve raised the Federal Funds rate 0.25% to 2%-2.25% citing a strong economy that no longer needed monetary stimulus. Italy ignored Brussels’ demands for budgetary restraint and voted to increase spending. The new budget led to a spike in Italian yields to 3.2% as the new Italian leadership promised to wipe out poverty. Barrick Gold is to acquire Randgold Resources in an all share merger that will combine the boards of the two companies. Post-merger Barrick Group will be listed in NY and Toronto. Jeremy Corbyn is embracing green energy and wants thousands more windfarms and a solar panel on every viable roof, alongside a tax on second homes. Goldman Sachs is to launch an easy access savings account via its “Marcus” branch. The new UK savings account offers 1.5% interest to account holders. Derivatives focused brokers had a poor month. CMC Markets now expects net operating income 20% lower whilst IG’s CEO stepped down after a weak Q1 due to client inactivity and low returns. Aston Martin IPO will be priced in a range of 1750p-2250p implies a market value of £4bn-£5.07bn. Jardine Lloyd agreed to be acquired by US insurance broker Marsh & McLennan for 1915p per share in cash. Sentiment towards UK equities is cautious in the absence of progress towards an EU Brexit deal. The PM’s “Chequers” plan promised regulatory alignment with EU rules in return for EU single market access. It was rejected at Salzburg. Sterling has remained weak, with half-hearted rallies. We think a “no deal” outcome would prompt the PM’s resignation and a possible General Election. Banks had a poor month due to margin compression, and evidence of weakening credit demand. There is concern the next 6 months i.e. ahead of Brexit could see a marked consumer slowdown impacting mortgage and loan demand. A separate factor is weak emerging markets which hit Standard Chartered and HSBC. The Barrick/ Randgold Resources nil premium merger might face shareholder opposition given the tight terms. 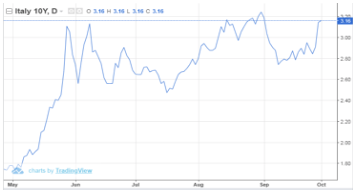 UK investors are being offered Barrick shares (down c.70% since 2011). Barrick needs to replenish gold reserves having spent five years disposing of producing mines to reduce debt. Terms may be sweetened to get Randgold shareholders onboard. Is it right for China to be treated as the emerging market epicenter? The sell-off in Chinese stocks since January was briefly a 20% “crash” early last month. US trade tensions, a slowing Chinese economy and perennial worries about bad debts/ valuations have kept buyers sidelined. Chinese technology stocks, known as the “BATs” (“Baidu, Alibaba and Tencent”) have lost c. $165bn year to date. The worst hit, Tencent has been hit by slower regulatory approvals with the government concerned about eye problems being caused by gaming. Growth rates are impressive, Tencent has grown 30% year on year, vs Baidu up 32% and Alibaba up 62%. Tencent is pushing WeChat and WeChat Pay alongside its gaming business. The big advantage in China for the local techs is the absence of US competition, Google withdrew in 2010, Facebook is blocked and Netflix is not available. Apple does operate in China on a very small scale. However a meaningful rebound in Chinese BATs and the broader market is seen as dependent on a Sino-US trade deal that remains elusive. The Italian problem is centre stage for the Eurozone. But there is division in Italy at its new government’s antagonistic EU stance. 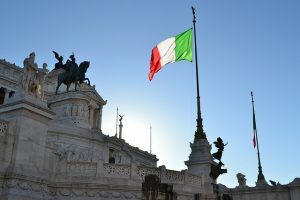 The Italian president, Sergio Mattarella and central bank governor, Ignazio Visco warned against the new government’s plan to lift spending to 2.4% of GDP (0.8% was the previous administration’s target). The problem is existing debt at 131% of GDP must be brought down but this is not consistent with the €28bn in tax cut promises made by the new government. The jump in Italian bond yields reflects the lack of confidence in the new government which by blaming the EU for years of overspending is making the problem worse by alienating Italy’s only likely saviour. The Federal Reserve embarked on its plan to reduce its balance sheet by c. $50bn per month alongside tightening monetary policy. The Board is agreed, the US economy no longer needs “accommodative” monetary support. The Fed is concerned that average earnings growth (2.9% in August) and declining unemployment will push up inflation. So far it has despite changes in the labour force, with highly paid Baby boomers retiring and being replaced by lower paid Millennials which creates a drag on pay growth. 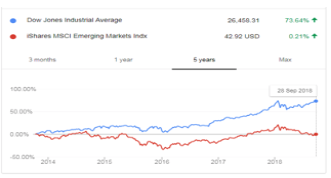 The Dow Jones (+73.64%) has sharply outperformed the MSCI Emerging Markets Index (0.21%) over the last 5 years.